Vicente Lunardi's ascent before the royal family on January 8 1793: "cayó en pozuelo del Monte del Tajo á las 2 de la tarde. bolvió a elevarse y cayó en la Cañada larga termino de la fuente y por ultimo en horcajo provincia de la Mancha." Image: Museo de Historia de Madrid. Que veis venir rasgando el Horizonte? De Argonautas que surcan la atmosféra. I like the bit just below in 6.21 about lunar exploration. The French, the Russians and everybody sent animals up first, but the use of a donkey on one of the early Spanish expeditions reminds one of the custom of throwing donkeys off church towers in such benighted places as this. More modern animal sacrifice here. All grist to this mill, slowly taking shape twixt other diversions. 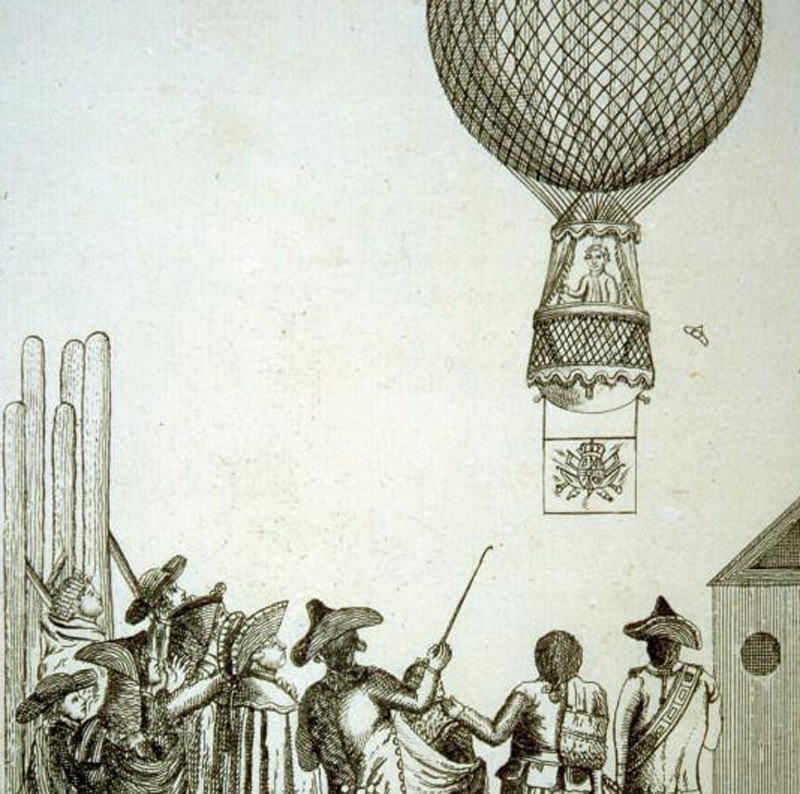 Jacques Charles (1): Jacques Alexandre César Charles was a French inventor, scientist, mathematician, and balloonist. Charles wrote almost nothing about mathematics, and most of what has been credited to him was due to mistaking him with another Jacques Charles, also a member of the Paris Academy of Sciences, entering on May 12, 1785. Nesles-la-Vallée (1): Nesles-la-Vallée is a commune in the Val-d'Oise department in Île-de-France in northern France.